Apple has announced its Q2 2013 earnings on Tuesday and shared that its retail stores brought in less revenue this quarter than the previous one, but is still 19 percent higher than this time last year. The company reported that in this past quarter, its stores generated a little over $5.2 billion in revenue, a 19 percent decrease from Q4 2012. The company’s retail performance was led by by strong sales of iPhones and iPads. At the end of this quarter, it said that there were 402 Apple stores in the world, with 151 outside of the US. 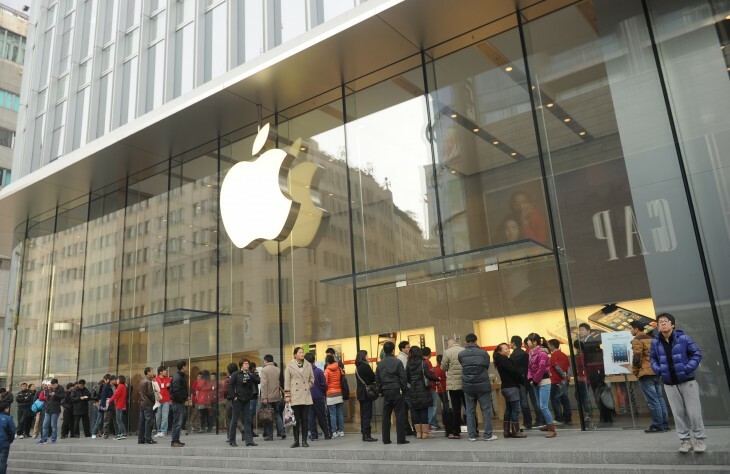 Company CFO Peter Oppenheimer said that Apple is on track to open 30 new stories and remodel 20 stores in fiscal year 2013. This quarter, Apple’s stores saw an average of $13.1 million in revenue per store. 91 million visitors came to its stories, which the company broke down to be 17,500 visitors per store per week. Tim Cook, Apple’s CEO, said during the Q&A part of the earnings conference call that he expects to double the number of the company’s retail stores in China within the next two years. This region is an area that Apple appears to be placing a lot of its focus on — Apple said that it had its best quarter ever in the country with revenue of $8.8 billion, including sales from its retail stores — a 11 percent increase year-on-year. We’re also innovating in the online store there. China has an unusually large number of potential first-time buyers, and that’s not lost on us. We’ve seen significant interest in iPhone 4 and we’re making it more attractive to first-time buyers.